A big part of the startup journey is finding investors and partners you can work with. One of our activities is connecting innovators with corporates clients with opportunities that allow them to validate and scale their solution. We facilitate the connection but after that, it’s down to you. So, how do you make the most out of your meeting with a corporate? 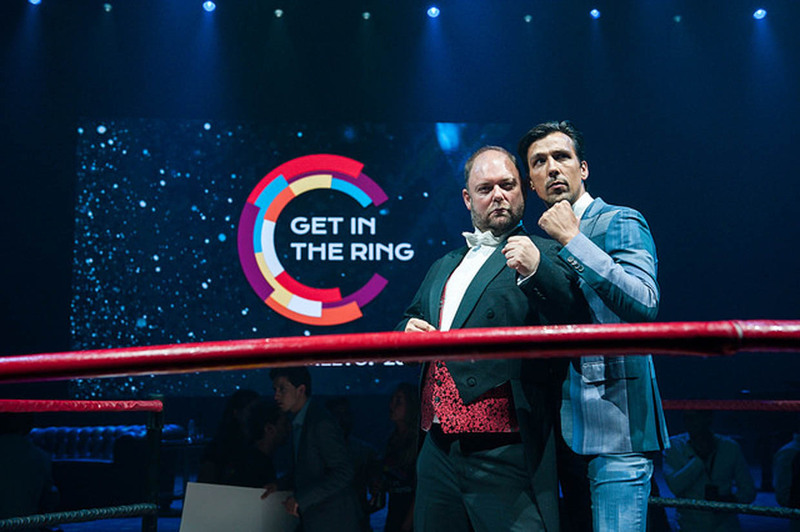 To get the best tips, we talked to one of our experts, Martin Luxembourg, co-founder of Get in the Ring and director of the Erasmus Centre for Entrepreneurship, the leading center for entrepreneurship in Europe. After years of working directly with startups, helping them scale, Martin has gathered some valuable tips on how to make sure your business meeting is successful. It often happens that corporates and startups have a very different way of communicating and different expectations when it comes to discussing collaboration. As a startup, you need to be aware of the person that is in front of you and what their role is in the company. Martin explains that, unlike startups, the person in the meeting is usually not in charge of making the final decision. So even though they might be very eager to incorporate an innovative mindset, they may not be able to make a decision on the spot. Sometimes, a bit of patience is required. “Corporates have a different risk profile. They are managing their own risk and you have to convince them to invest in you”, tells Martin. Startups are very inspiring, so it can also happen that the person wants to talk to a startup simply because they want to be inspired and learn. That is not necessarily a bad thing and it does not mean you wasted your time, it’s a two-way street. Showcasing technology and ideas is always beneficial and can lead to collaborations in the future. And there is always a lot a startup can learn from a corporate, so try to take advantage of the situation. As important as it is to come prepared to a meeting, it’s also just as important to know exactly what you want. Why are you taking this meeting and what do you expect to come out of it? By knowing that, you can prepare accordingly. It’s also beneficial to assess if what you want can actually be achieved in that meeting. Prepare questions to ask the corporate, what do they expect from you, what is their goal with this potential collaboration, and can they make that happen. Corporates may be skeptical of startups because they are small companies. In order to avoid being seen as too young, you should try to show them you are on their level. That applies to every step of the process. How you communicate with them, how you present your products, which other clients you have. All the steps should be done in the most professional way possible. So if you’re not in a position to do this, then you’re probably not ready. Rushing into collaborations when you don’t have the infrastructure in place to facilitate them can be disastrous for your startup. “Sometimes, you just started. So it’s also important to consider that it may not be the best time to contact the corporate. Wait until you are a bit more established”, says Martin. For big businesses, investing in a startup that doesn’t have an established reputation and clients is a big risk. As a startup, you should then try to make sure you minimize all of the potential risks. Bring out all of the information necessary to show them that investing in you will pay off. Show them you have credibility and long term plans and goals. Martin also explains that it is common for corporates to have some requirements before working with startups. For instance, they may require that the startup is more than 5 years old. Even if that’s not your case, there are ways to work around it. Find a partner that has been working for longer and collaborate to present your ideas to the corporate. These are just some tips to keep in mind when speaking with corporates. The most important thing is that the collaboration is mutually beneficial. Just remember to stay true to yourself and show the corporate just how passionate you are about your idea. Ready to scale? Check out our opportunities.